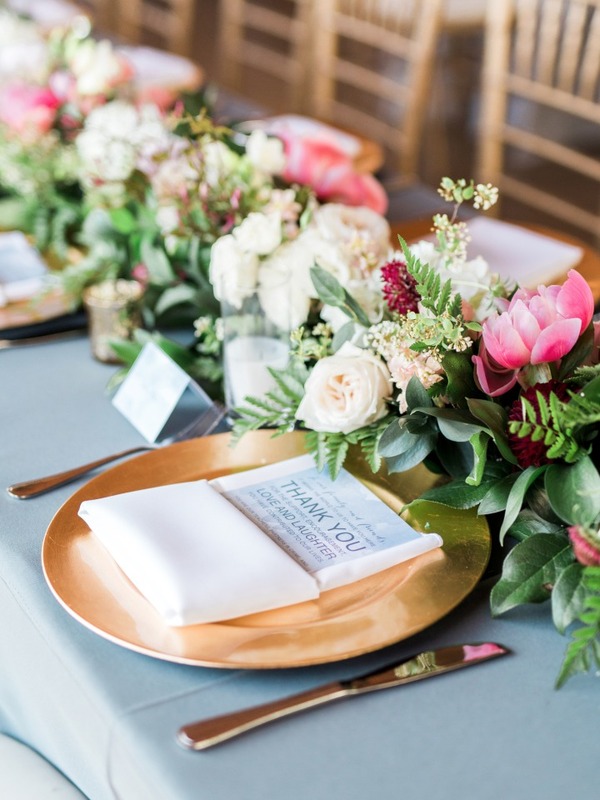 Charming details and funky modern accents are what make this next dusty blue pink and gold classic wedding stand out! 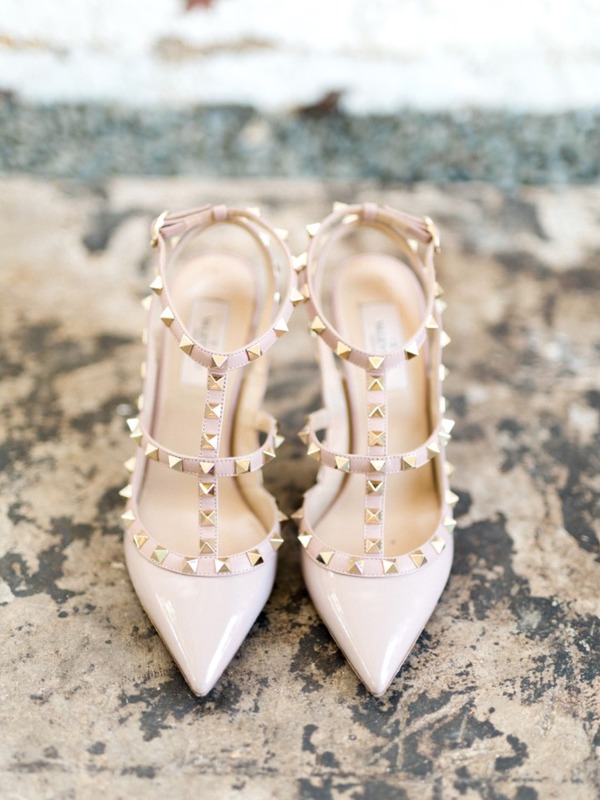 Not only were the brides modern pink studded Valentino's to die for, but we loved the cheery bouquets and floral design through out the day! 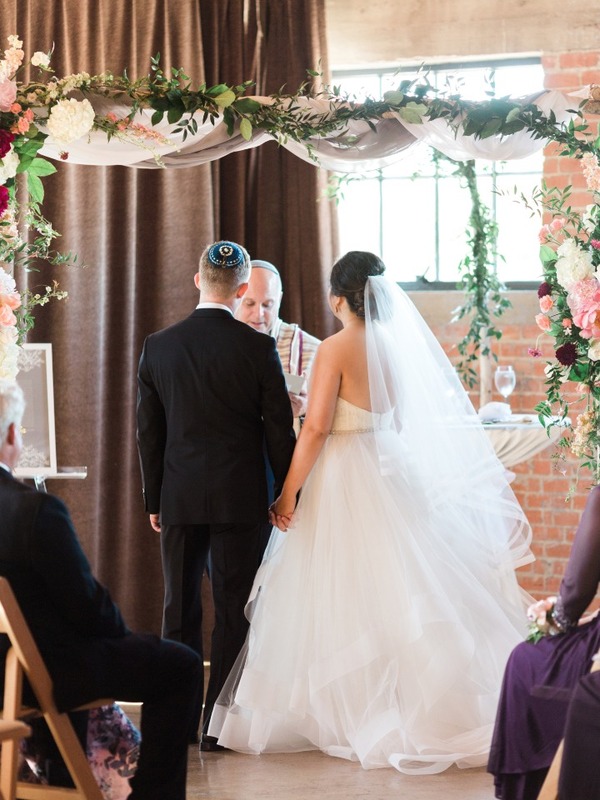 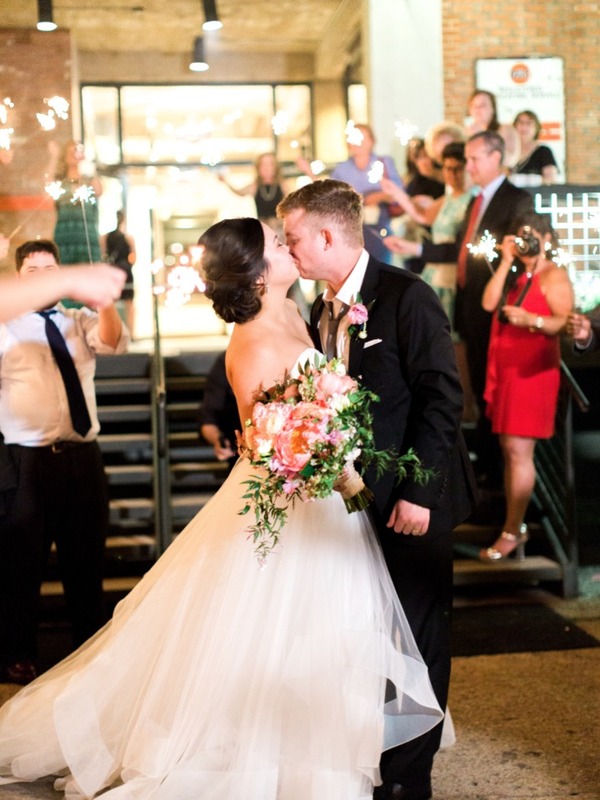 From the first look to the final kiss this perfect day was beautifully documented by the talented Elisabeth Carol Photography, you can see even more of this totes adorable day in our full gallery here! 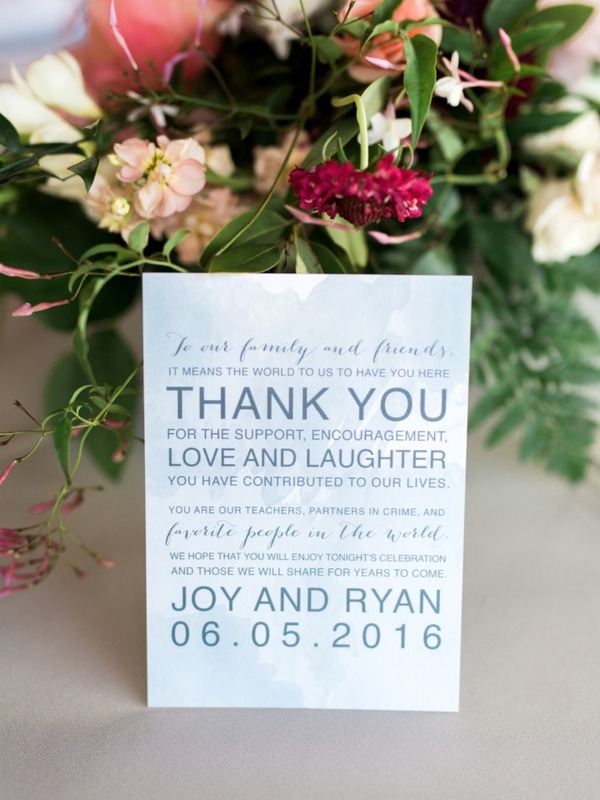 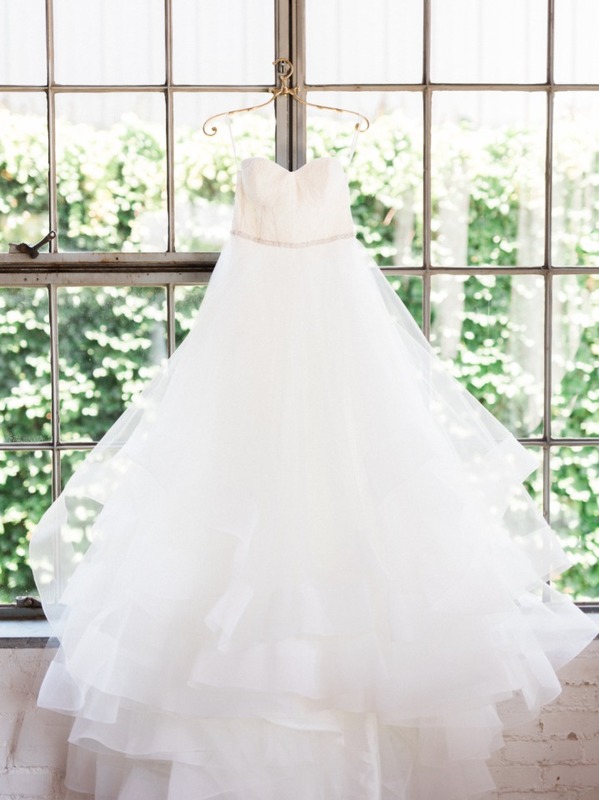 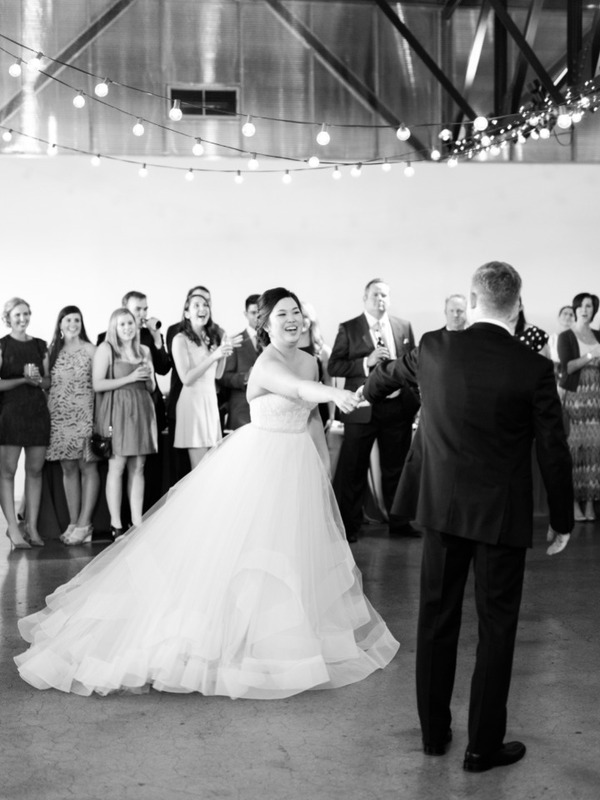 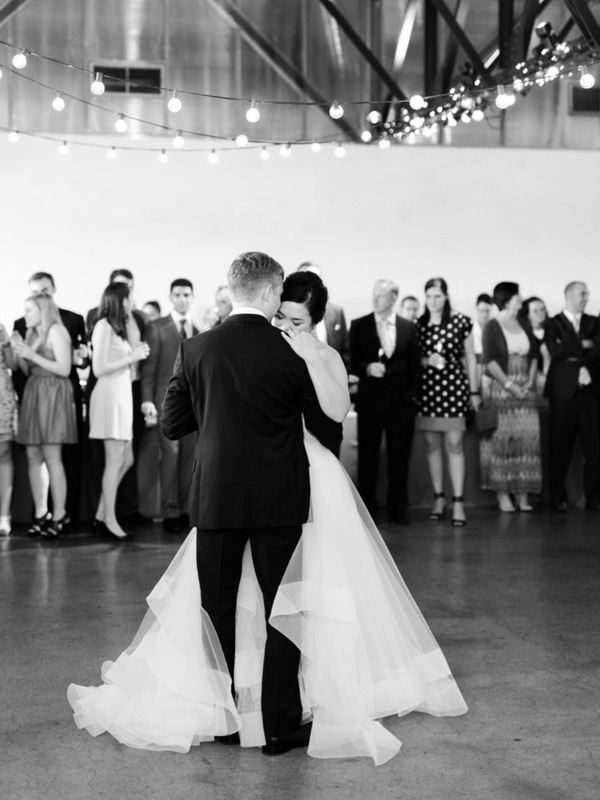 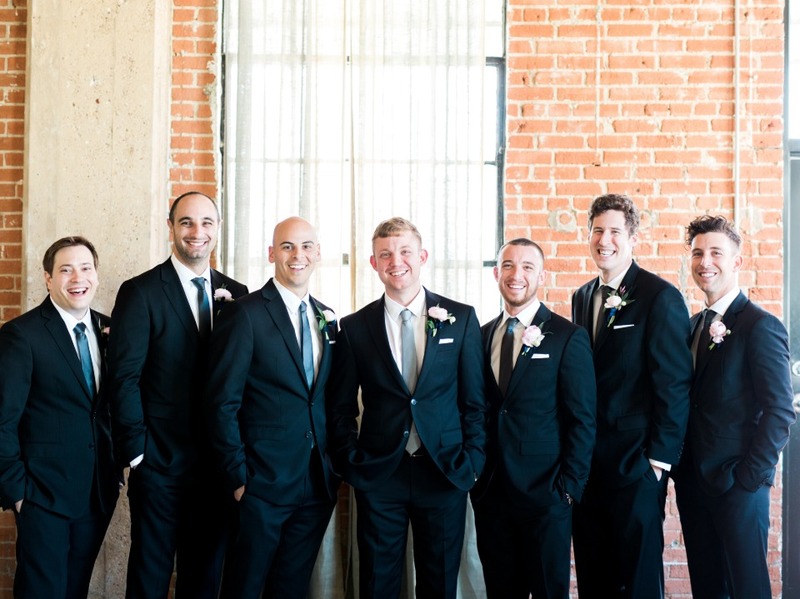 From Elisabeth Carol Photography: Ryan & Joy's Jewish wedding will be one I'll never forget! 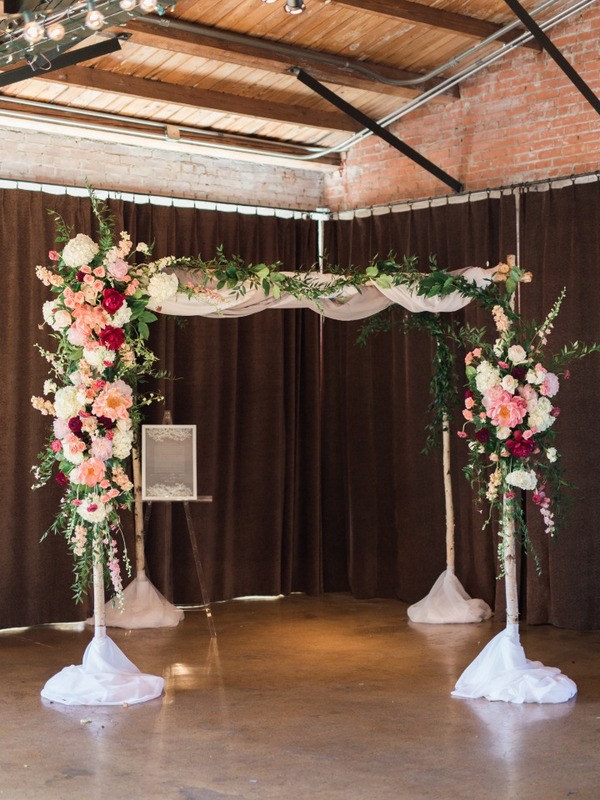 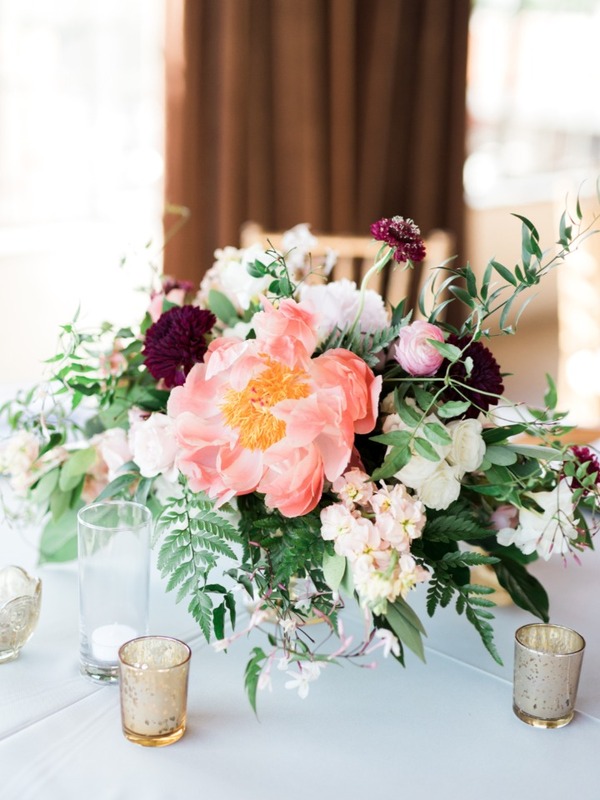 From the meaningful ceremony to the lush florals, Joy along with her coordinator Kimberly from Hitched Events, thought of every detail! 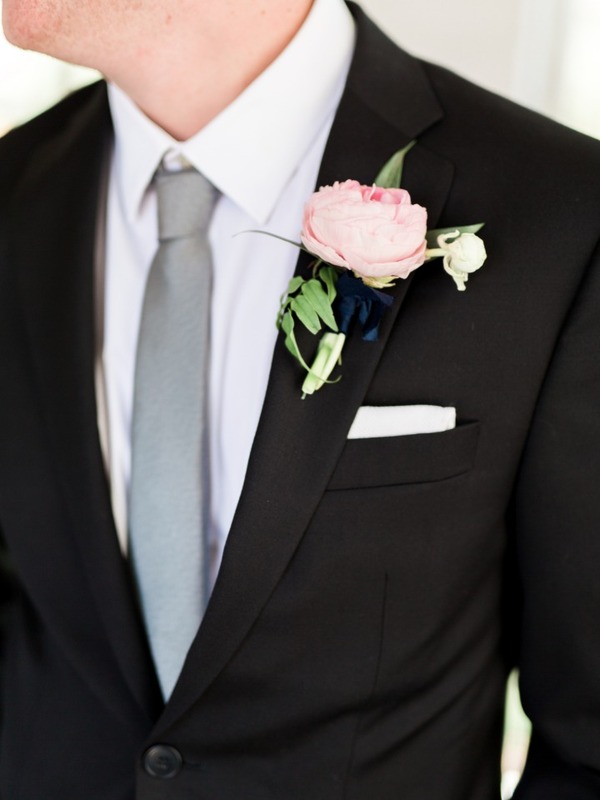 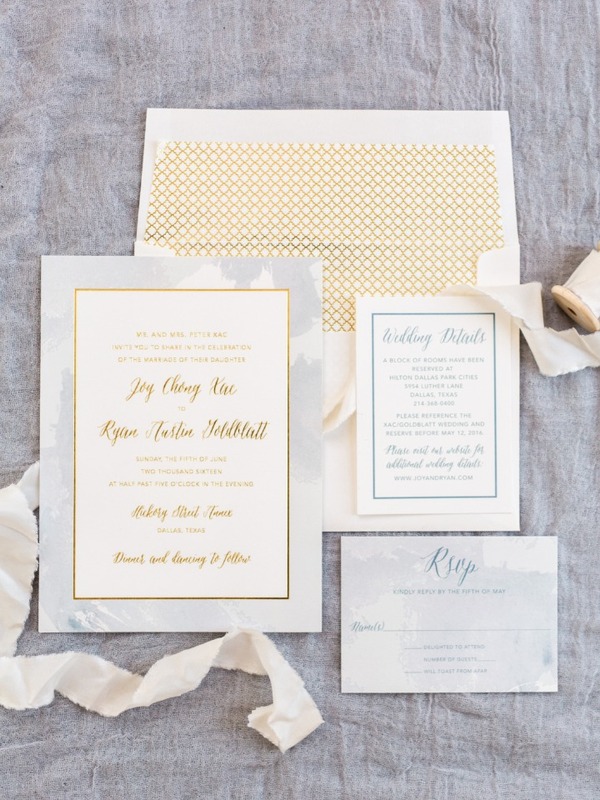 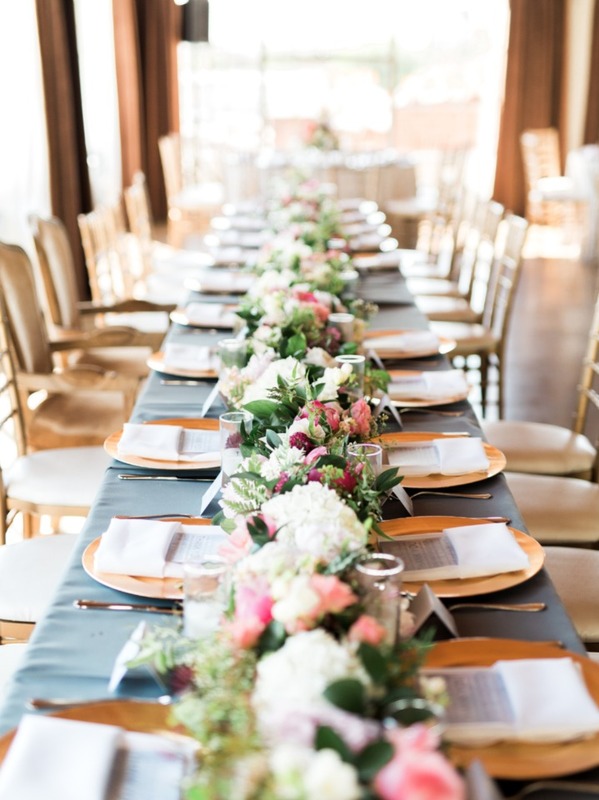 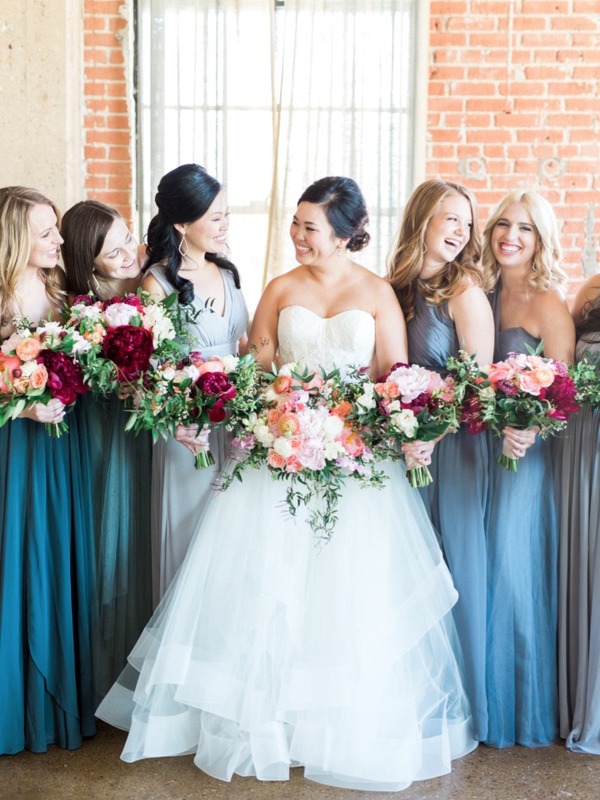 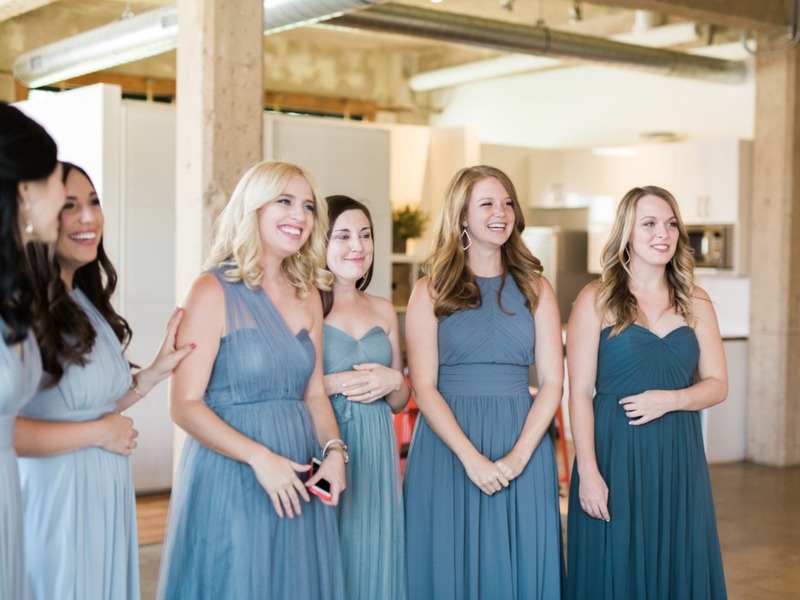 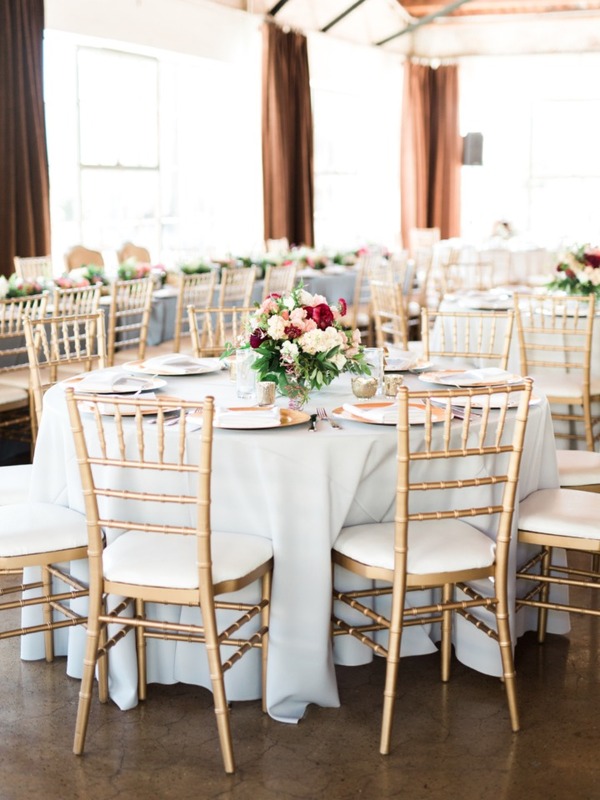 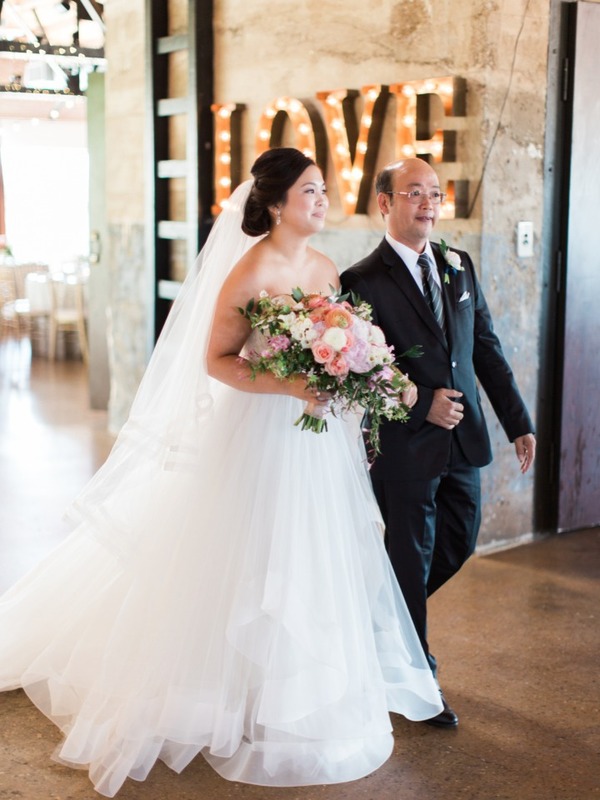 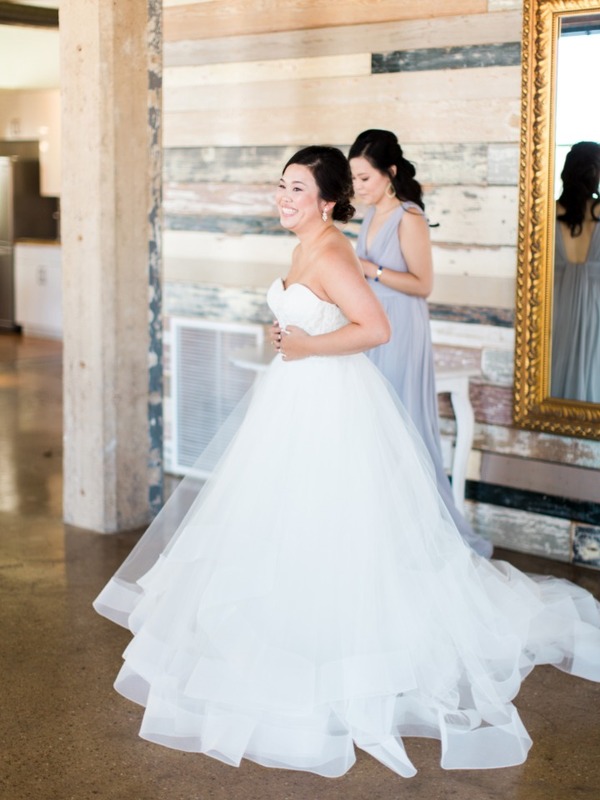 The color palette of blush and a blueish gray compliments the venue perfectly. 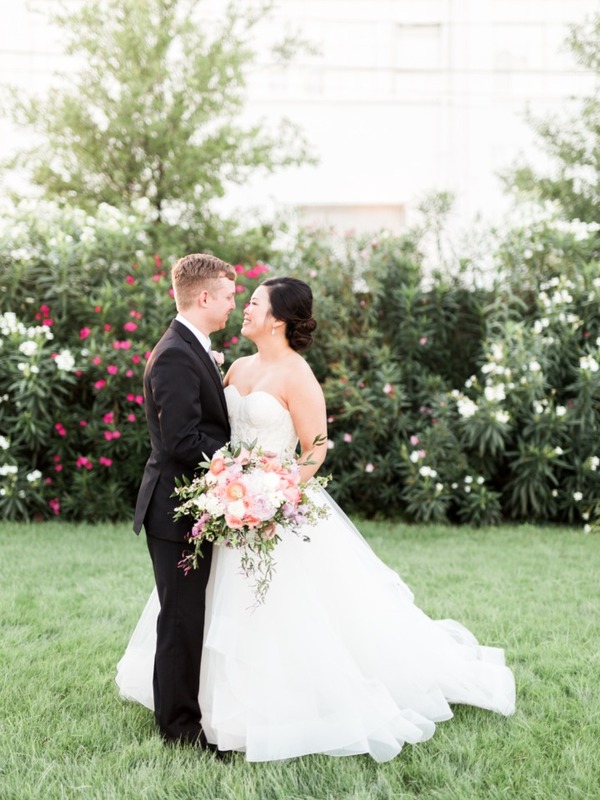 Joy's dress added the right amount of drama and playfulness to the day along with their dramatic florals from Kate Foley Designs. 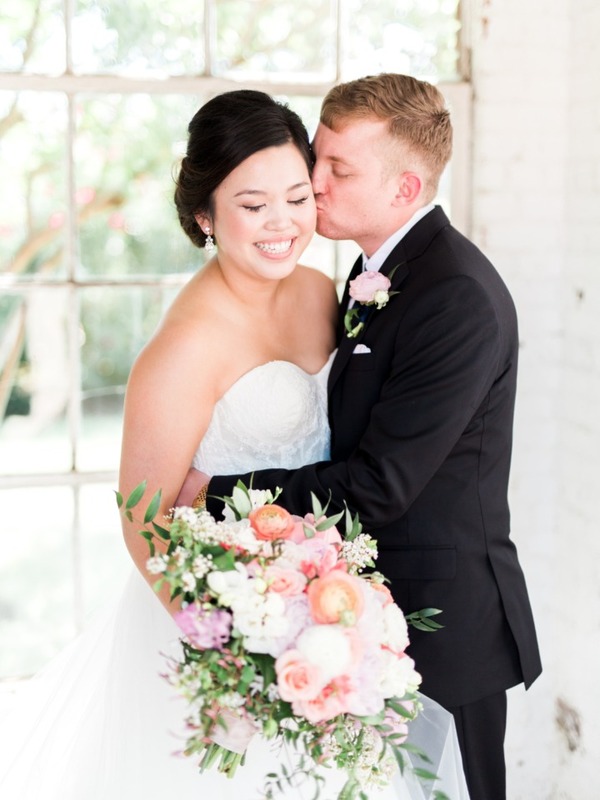 Their wedding is what dreams are made of! 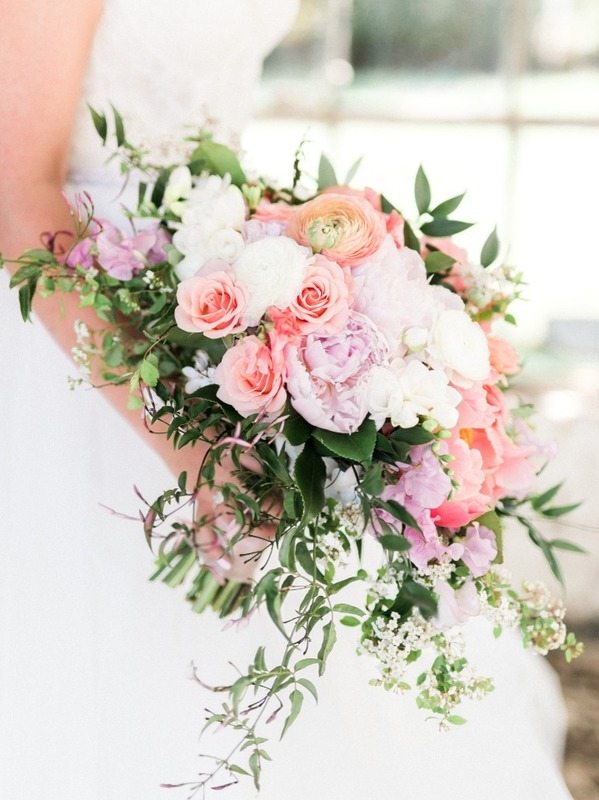 Have you ever seen a bouquet and wished you knew the first thing about flowers so that you could have your florist recreate it for you? 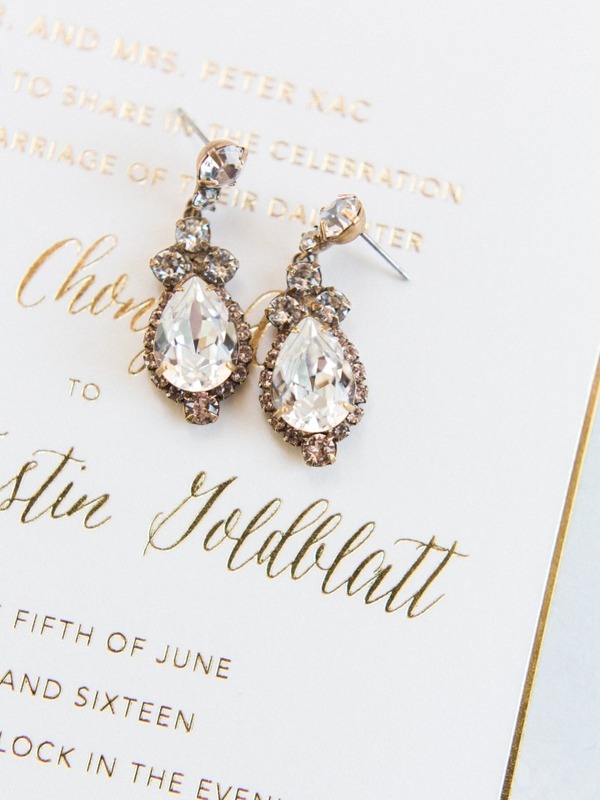 Well, brace yourself for the greatest news! 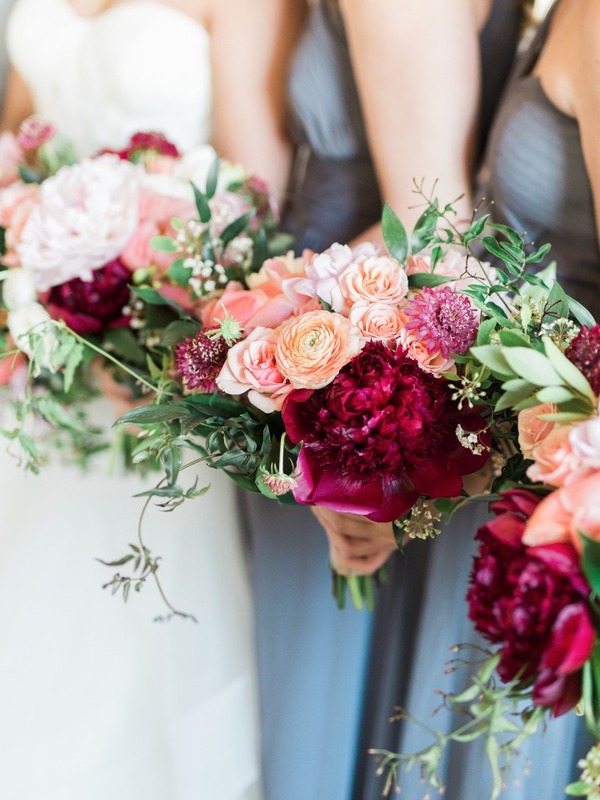 Wedding Chicks has bouquet recipes that tell you exactly what flowers are in a certain bouquet! 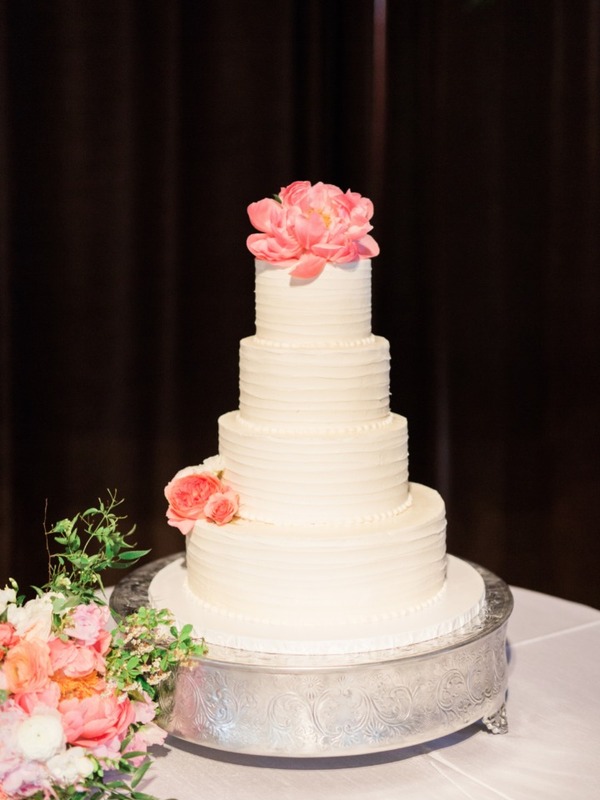 That's right, we have over 100 bouquets and their recipes for you to look through and find just the right recipe for your big day!